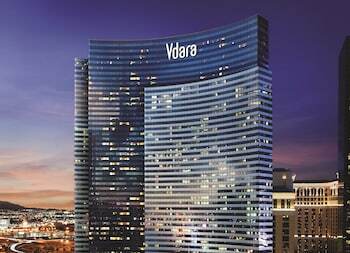 Las Vegas hotels and casinos are famous for the many attractions, shows and giveaways that lure patrons into the gambling casinos. 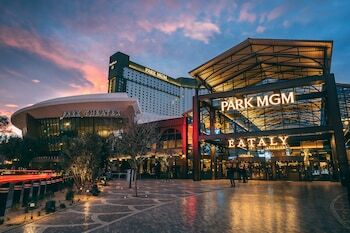 This list of mostly free Las Vegas things to do will keep you busy for many hours when you need a rest from the gambling tables or slot machines. See our Top Shows Guide for the best must-see shows in Vegas. Drinks are always FREE if you are playing the tables or slots. However, you are often expected to tip the waitress. 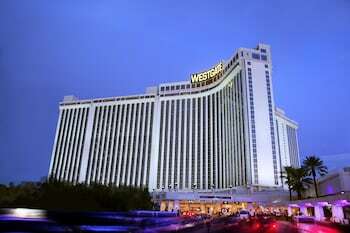 You can explore all the wonderful Vegas hotels for free. 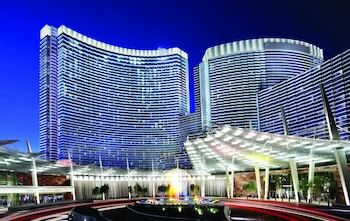 Aria is a beautiful megaresort located near The Shops At Crystals located in CityCenter. Free Water Fountain Music Shows are offered Sunday through Friday from 5:00 p.m. to midnight, and Saturday from 2:00 p.m. to midnight. Shows run every half hour. 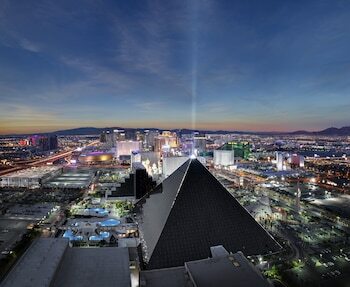 It is a must-see thing to do in Vegas. Free tour of the Botanical Conservatory is a breath of fresh air. You will see hundreds of fresh flowers and real trees. It has a dome glass ceiling and is open 24 hours a day. 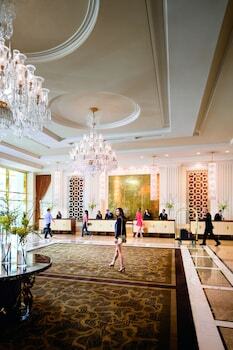 You will find it just past the hotel registration desk. The FREE Atlantis Water Show in the Forum Shops. The first show is at 10:00 a.m. and the last show at 11:00 p.m., daily on the hour. This seven-minute show recounts the myth of Atlantis using cool animatronic figures, fountains, fire, fog, and laser effects. FREE Caesar and Brutus Show in the Forum Shops. (at the end of the street where Planet Hollywood restaurant is located.) First show at 10:00 a.m. and the last show at 11:00 p.m., daily, on the hour . Check out the Forum Shops at Caesars. 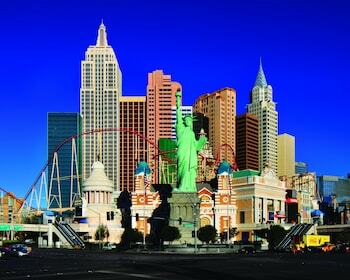 It is a Must see when you are in Vegas. With a realistic painted sky and detailed clouds, you will feel like you are outside talking in Rome, even though it all takes place in the hotel. They even change the sky lighting when evening approaches. Great shopping as well with tons of dining options. FREE clown shows at the Adventuredome Theme Park daily at noon, 1 p.m., 3 p.m. and 4 p.m. Additional shows on Fridays and Saturdays at 6 p.m., 7 p.m., 8 p.m. and 9 p.m.
Visit the carnival midway located on the main casino mezzanine. Thrilling circus acts including clowns, aerialists and jugglers are featured in the center ring. Sunday thru Thursdays from 11:15 a.m. to 11:45 p.m. every 45 minutes. Fridays and Saturdays 11:15 a.m. to 11:45 p.m. every half hour. All shows are FREE! FREE monorail between the Circus Circus main building and its North Tower. It runs from 6 a.m. to 1 a.m., seven days a week. Visit this trendy metropolitan-style hotel. Explore the impressive digital art installation in their ornate lobby complete with huge chandeliers. Merlin subdues fire-breathing dragon in hotel’s moat. Best viewed from the driveway or from the drawbridge. The fire breathing beast lurking in Excalibur’s castle moat can be seen in battle every hour on the hour from 6 p.m. to midnight nightly, depending on weather conditions. The court Jesters Stage features free, live variety acts daily beginning at 10:00 a.m. The talented cast of 28 performers features singers, magicians, jugglers and contortionists. Acts are approx. 10 minutes in length and are presented every 45 minutes. The Wild Habitat has 14 penguins, 10 flamingos, assorted exotic birds, two albino turtles and koi. Open 24 hours a day on the terrace in the back next to the swimming pool. 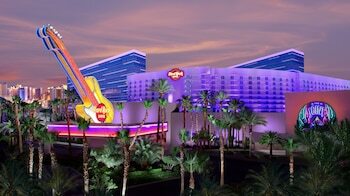 Free bus tour to the Flamingo Hilton in Laughlin. Includes free buffet and funbook. Call: (702) 735-5755 **Note** If this is your first visit to Vegas there is no need to take this tour as you will have many other things to see right in town. 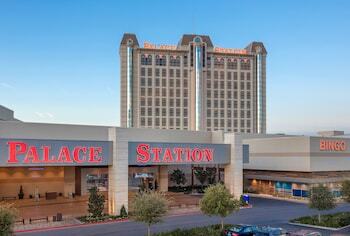 Most casinos have FREE gaming lessons. Ask any employee in the table gaming area when and where the lessons are being held. This is a MUST DO if you are new to gaming. Playing any game in a casino without knowledge of the game is a sure way to lose your money. The world’s largest golden nugget is on display next to the gift shop and across from the entrance to the California Pizza Kitchen Restaurant. The concierge desk, which is located just across from the hotel room registration, has a free “Rock Tour” map showing where all the rock and roll items are on display in the Hotel and Casino. 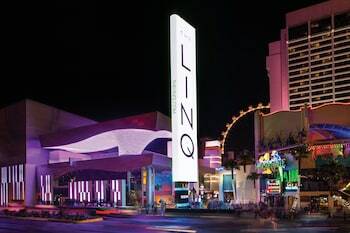 FREE outdoor party right on the Strip, on the south side of Harrah’s, called “Carnival Court.” Fridays and Saturdays from 11:30 a.m. to 2:00 a.m. and Sundays thru Thursdays from 11:30 a.m. to midnight weather permitting. of the South Pacific filled with dozens of fish species. View their exclusive man-made beach complete with wave pool. Free admission to the Lion Habitat. The three-story habitat showcases a variety of lions and cubs, including Goldie, Metro and Baby Lion, a direct descendant of MGM’s Studios’ famous marquee lion. The Lion Habitat, a truly magnificent state-of-the-art showcase, features four separate waterfalls, overhangs, a pond and Acacia trees. The habitat is enclosed with skylights and walls reaching heights of 35 feet to provide maximum viewing for guests. Guests are afforded the opportunity to be encircled by lions at any time via a see-through walk way tunnel that runs through the habitat, allowing lions to prowl above and below. Hours of the habitat are 11 a.m. to 11 p.m., seven days a week. Entertainment Dome always has free shows on most of the day. The adult musical acts are very good and change often. The Entertainment Dome is located past the Lion Habitat. White tiger habitat. Behind the California Pizza Kitchen and across from the Gift Shop. Open 24 hours, seven days. Erupting volcano. Show lasts about 3 minutes and can be seen nightly after dark, every 15-20 minutes until midnight. Bell Captain’s desk in most casinos have copies of various Las Vegas magazines. Check them out for money saving coupons. Sign up for the Slot Exchange (Slot Club) club card and receive 5 FREE pulls on their $1,000 Jackpot Slot Machine when you give them a coupon from any Vegas promo magazine. Go to the promotional counter at NY-NY to get such a magazine. A FREE key chain, with your own picture on it, can be obtained from the “Slot Club” booth next to the keno lounge. They take your picture and 40 minutes later you can come back and they give you a key chain with your picture on it! Masquerade Village Parade performances every hour from 4pm to 10 p.m. Dark Tuesday and Wednesday. A Must See. Try standing underneath the floats as the balcony is really crowded. It’s also the best way to snag some beads. FREE pull on a huge slot machine. Near the main door. Everyone wins at least a deck of cards. Mannequins from the performance of “La Cage” in a glass window in front of the casino. The free Laser Show in the Mystic Falls Park is on at 2:00 p.m., 6:00 p.m., 8:00 p.m. and 10:00 p.m. seven days a week in the back courtyard. Free popcorn is available 24 hours a day on the counter at the snack bar. Just take one! The Slot Club counter usually has free copies of “Strictly Slots Magazine” around the beginning of each month. FREE beads are given out for the asking at any change booth, but not at the main cashiers cage. Slot Club. If you are a member of their slot club they will mail to your home a coupon for free 2,500 slot club points. This coupon can be redeemed any time after your birthday up to the next 3 months. Well known pirate battle in Bucaneers Bay has been replaced with an all new show called “Sirens” featuring female performers. Show is free and performed nightly seven days a week at front of hotel at 4:00 p.m., 5:30 p.m., 7:00 p.m., 8:30 p.m., 10:00 p.m. and 11:30 p.m.
Magician Rick Thomas’s tiger habitat located in front of the hotel. FREE to the public, the habitat offers guests and passers-by a rare opportunity to get close to a few of nature’s most majestic creatures. The habitat is open Saturday through Thursday, 1 to 10 p.m.
FREE show “The Birdman of Las Vegas,” everyday except Thursdays, in the Tropics Lounge. ShowTime is 11 a.m., 12:30 p.m. and 2 p.m.
Outside the main entrance try a pull on the big slot machine. It’s free and you will win something worthwhile, most likely a FREE ticket to the afternoon Rick Thomas magic show. 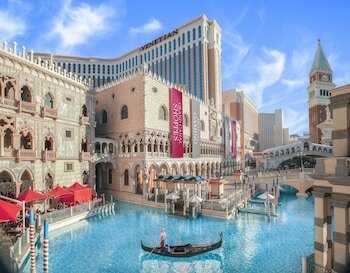 Take a stroll through their Grand Canal Shoppes and see the opera singers in their gondolas in the canal. Be sure to visit Wynn Las Vegas. Take a walk in the lobby and around their exclusive Explanades Shops. Dine at one of their many top-rated restaurants. Visit the Penske-Wynn Ferrari & Showroom. Check out the free water show at Wynn’s Parasol Down that runs every half hour. After dark, there’s a multi-media show with visuals, music, light, with artistic movies. Explore the golf course.